Regular coolant flushes are recommended for every make and model vehicle on the road, but many car owners have questions on coolant including questions on how much should a coolant flush cost. Some of the newer vehicles on the road may not show a regular interval for coolant flushes in their owner’s manual and there are a few reasons for that. First, when exactly you should have your coolant flushed is really different for every vehicle. Most engine coolants do not break down or wear out at a very specific rate. When you need new coolant in your engine depends a lot on driving habits, weather conditions, how often you use your vehicle and other factors. In many cases when you flush your coolant is up to the judgement of a good mechanic. 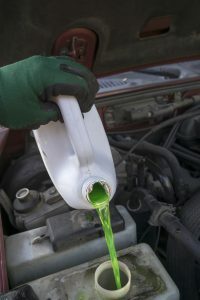 Another reason many new cars don’t specify a specific interval for coolant changes is that advances in engine coolants have allowed coolant to last a lot longer, sometimes so long that the manufacturer considers the coolant to last for the lifetime of your vehicle. Again, depending on a lot of factors, that coolant could be the limiting factor in your vehicle’s life. Flushing your coolant is something worth doing to keep your vehicle running properly for a long time. If you want to get scientific about the process, head to your local auto parts store and pick up a coolant test kit. 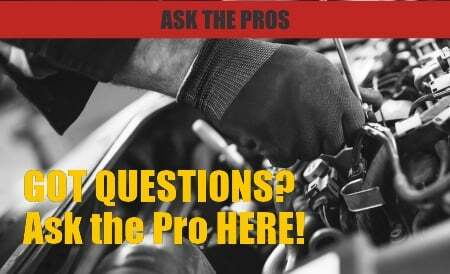 It will help you discover if your coolant is turning acidic and what temperature it provides freeze protection down to. If anything is out of range, it’s time for a coolant flush! If you want to play it safe, flush your engine coolant every other year, or any time you notice an oil film on top of the coolant in your reservoir or floating particles. It’s also important to perform a coolant flush rather than just draining the old coolant and adding new coolant. Simply draining your coolant can leave a significant amount of old contaminated coolant in your cooling system. Also, if your old coolant has caused any corrosion or wear products to form, it’s important to remove them before adding your new coolant. Most auto repair shops big and small can perform cooling system flushes as they are a part of regular maintenance. The cost will vary based on the type of vehicle you have mostly due to the cost of the new coolant you will add. Vehicles with larger motors, like trucks, will often have larger cooling system capacities and require more coolant to be added. Most shops will also charge a disposal fee for the old coolant as it is a hazardous material. If you’re asking “what should a coolant flush cost” then you’re probably the kind of person that likes to save a few dollars. Whether you’re a professional mechanic or have never looked under the hood of your car, we want to encourage you that this is a project you may be able to tackle yourself! A coolant flush is a relatively simple process. 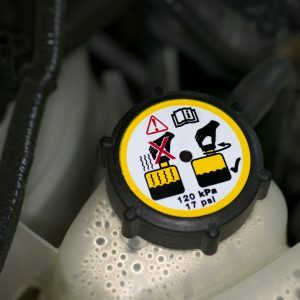 For a full list of directions from start to finish, visit our instructional page here: coolant flush directions. This easy to follow 7 step process will restore the full potential of your cooling system, remove any contamination, and ensure your engine is running with the proper type and quality coolant. This will extend the life of your vehicle and keep your car on the road for longer saving you money and give you peace of mind. When you’re ready to flush your own coolant, check your vehicle’s owner’s manual for the proper type and amount of engine coolant that you will need. Then, head to your local auto parts retailer to pick up a bottle of BlueDevil Radiator Flush to get the job done right.